A heat exchanger (evaporator coil) consisting of two diagonal coils that are joined together in a manner that looks like the letter "A". Annual Fuel Utilization Efficiency. A measure of a gas furnace's efficiency in converting fuel to energy'_the higher the rating, the more efficient the unit. An air moving and/or mixing unit. Residential air handlers include a blower, a coil, an expansion device, a heater rack and a filter. Heaters for air handlers are sold as accessories. In some models, heaters are factory installed. The portion of your heating and cooling system that forces air through your home's ductwork. 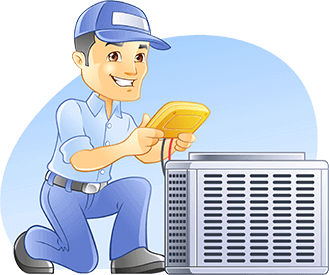 American Society of Heating, Refrigeration and Air Conditioning Engineers- ASHRAE is an international voluntary organization for people involved in heating, ventilation, air conditioning, or refrigeration (HVAC&R). The society promotes the general sciences of HVAC&R. The main Society headquarters is located in Atlanta, Georgia with local chapters located across the United States and throughout the world. ASHRAE publishes a four-volume Handbook that serves as a resource for members, with one of the four volumes updated each year. ASHRAE also publishes a well recognized series of standards and guidelines relating to HVAC Systems. ASHRAE Standards are often referenced in other model building codes and in the US Green Building Council's Leadership in Energy Design (LEED) green building rating system. Trane Air filtration system that removes 99.98% of airborne allergens down to .1 micron from the filtered air, making it 100 times more effective than a standard 1'? filter. Trane CleanEffects also removes over 99% of the influenza virus from your home's filtered air, according to research by the Harvard School of Public Health, in collaboration with scientists at Environmental Health and Engineering Inc. (EH&E). Part of the outdoor portion of a heating or cooling system, which releases or collects heat from the outside air. This is also referred to as a condensate pan. This is a pan used to catch and collect condensate (in residential systems vapor is liquefied on the indoor coil, collected in the drain pan and removed through a drain line). Maytag's_ designation of green heating and cooling equipment. Electronically filters out magnetized airborne particles from contaminants in indoor air, sending them to a collector plate. Trane's_ high efficiency systems carry the ENERGY STAR label. The result of Trane's partnership with the U.S. Department of Energy and the Environmental Protection Agency (EPA), ENERGY STAR products are more energy efficient and help reduce our whole earth's pollution problems. Choosing a Trane ENERGY STAR Comfort System assures homeowners of lower energy bills and improved indoor-air quality for their home. A refrigerant-metering valve with a pressure- or temperature-controlled orifice. The temperature scale on which water freezes at 32 degrees and boils at 212 degrees, designated by the letter F.
To convert Fahrenheit to Celsius, subtract 32 from the Fahrenheit number, multiply by 5 and divide by 9 (77'_32 equals 45, times 5 equals 225, divided by 9 equals 25 degrees Celsius). Energy-efficient system to exchange stale indoor air for an equal amount of fresher outdoor air. An area, box or coil where heat flows from the warmer to the colder fluid or surface. The major part of the furnace that transfers heat into your home. Heating Seasonal Performance Factor. This rating is used in measuring the heating efficiency of a heat pump. The higher the number, the more efficient the heat pump system. Abbreviation for Heating, Ventilating and Air Conditioning. This type of system provides energy-efficient comfort for moderate heating conditions. Depending on the weather and your comfort needs, it can use either gas or electricity, with an electric heat pump as the outdoor component and a gas furnace the indoor component. air that flows over it by drawing out heat and moisture. a considerable amount of energy and reduce noise levels. A type of heat, which when added to or taken from a substance, does not change the temperature of the substance. Instead, the heat energy enables the substance to change its state. overall performance, reliability and efficiency. North American Technician Excellence'_certification acknowledging a dealer/technician as one of the most knowledgeable and experienced at installing and servicing high-performance, precision-engineered heating and cooling systems. changing the refrigerant from vapor to liquid to cool your home. Environmental Protection Agency. R-22 is scheduled to be in production until the year 2020.
depending on the range of the controller. superheat; also called a thermal expansion valve. collaboration with scientists at Environmental Health and Engineering Inc. (EH&E). humidity control, higher efficiency and quiet performance. The unit of measure used to describe a difference in electrical potential, abbreviated by the symbol "v."
results from the evaporation of water around the bulb indicates the air's relative humidity.